6 Fun Ways To Make Sure Your Wedding Memories Last Forever! You've planned your wedding since you turned 16. 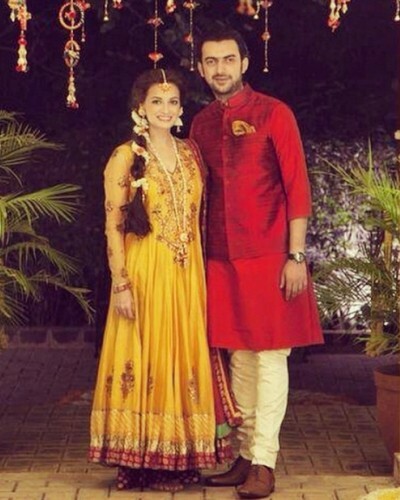 You know what colour your invites will have, the lehenga you will wear and the song that you both will dance to. Weddings are fun. A time when everyone - your friends and family celebrate you and the love of your life. 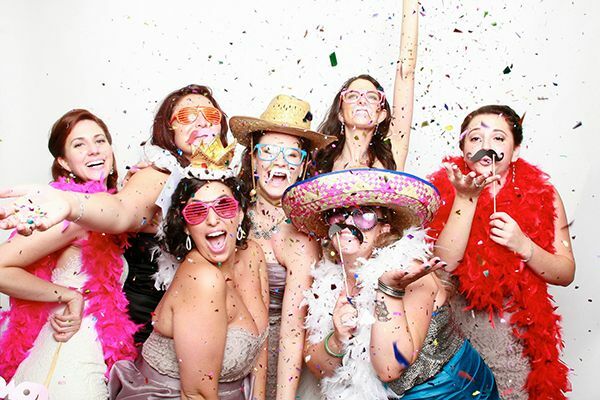 Weddings are literally 3-day party-filled adventures that have fun, enjoyment, a little stress and loads of excitement. From the perpetually drunk mamaji to the friends who always manage to find someone to flirt with, there will be a bunch of memories made at your wedding that you will look back and laugh at. When planning your wedding, it is absolutely essential to include cool ways to make the most of your memories for later! Here's our list of top 6 ideas. What's a wedding without everyone breaking into the same move at the same time? Nothing beats the look your best friend gives you: cue in your signature pout and hip-swinging, all to the beats of the latest Bollywood number, 50 times over 4 days. Your friends and you will always remember your wedding whenever they hear this song, smile, pout, swing their hips. Repeat. POPxo recommends: Babydoll main sone di, with its signature steps! 2. Get quirky wedding coasters! Who doesn't love some cool couple humour! At your wedding, coasters with some quirky lines that represent that special bond that you and your partner share can be utterly fab. And you can personalize everything around. And while you're at it, you can ask your guests to take one along as a souvenir to remember the crazy times and laugh every time they have a drink at home! 3. Take a bachelorette trip to your favourite destination with your BFFs pre-wedding and document it on social media! Enjoy your last few days as a single girl. Shop, dress up, party and go crazy. Do every little thing you've always wanted to and never done. Make it a holiday you'll never forget! Have a hashtag that reflects you, a cocktail that you'll always remember as the last drink the bride had and plane tickets that have crazy messages written by your friends. Tweet, Instagram and Facebook every memory! POPxo recommends: Singapore, one of the most happening places for its nightlife and amazing shopping. Goa would be a fun, relaxed destination by the day and super-fun by night! Try out Shoto to make sure all your pictures get saved in one place. Often, as time passes, we slowly forget the special moments that were shared during the 3-4 days that your family and friends spent with you celebrating your love and life to come. Lots of emotions are felt and often left unsaid in the entire hullabaloo. These small notes of love will remind you of all the people who cherish you and wish you all the happiness in the world. Everyone starts off the night looking gorgeous in their stilettos, full of poise and grace. But with all the walking around, dancing and mingling, feet go for a toss and many women can be found either sitting in a corner or walking with their shoes dangling in their hands. Imagine a pair of soft fuzzies instead of painful feet during the night? Make the women in your old and new family feel cared for, for all the running around they do for the bride. Get them their very own personalized slippers with a couple thrown in for the guests. 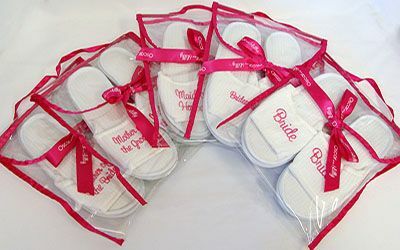 POPxo recommends: Sets of colour-coded slippers for the bride and groom’s extended family and a nice shoe bag to go with them. What’s nostalgia without photographs? Make sure your photographer gets a few candid clicks as well as fun pictures of your wedding gang. You can also get extra copies and send them to your friends and family with a heartfelt "Thank You" card. Guaranteed to be appreciated! POPxo recommends: A Jodhaa-Akbar theme complete with fake moustaches, costume jewellery and vintage feather fans! The Unreal Bride is the perfect place to hire a killer photo-booth.